MAKITA 4-STROKE (REG. GAS) 75.6 CC ENGINE. INCLUDES STRAIGHT PIPE, END PIPE. TOTAL WEIGHT = 23 LBS. 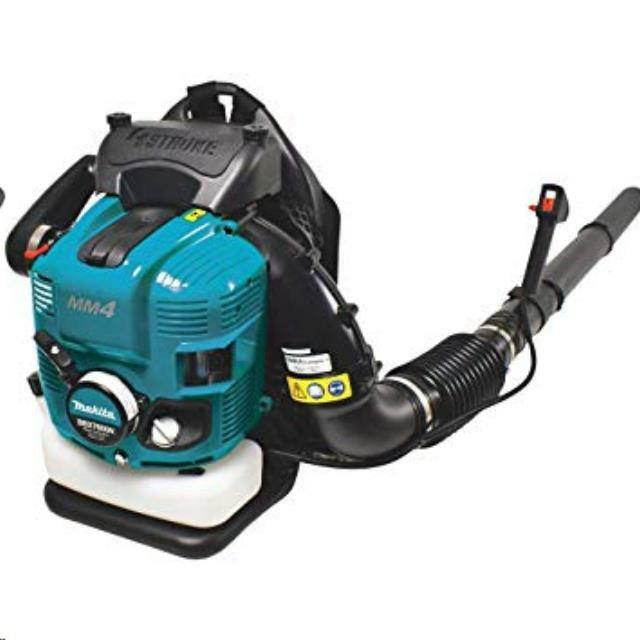 * Please call us with any questions about our blower 4 stroke backpack rentals in Old Town ME, Milford, Bangor, Pea Cove, Eddington, Bradley, Orono, Bangor ME.